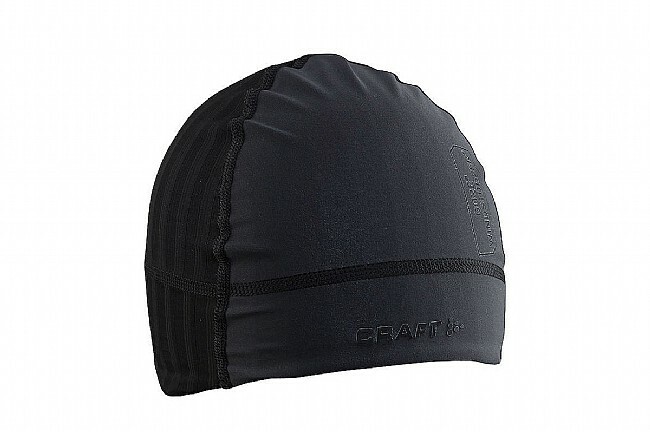 The Active Extreme 2.0 Windstopper Hat from Craft features a brimless, low-profile design made of stretchy and lightweight polyester. This hat provides a snug, ergonomic fit that comfortably fits beneath a helmet, as well as wind protection and moisture wicking. Fabric 2: 92% Polyester, 8% ePTFE. Small / Medium: 54 – 56 cm. Large / X-Large: 58 – 60 cm. Works well blocking the wind on frigid winter bike rides. A Chilly MTB ride one morning. My buddy said he'd give me $50 for it on the spot. No deal!